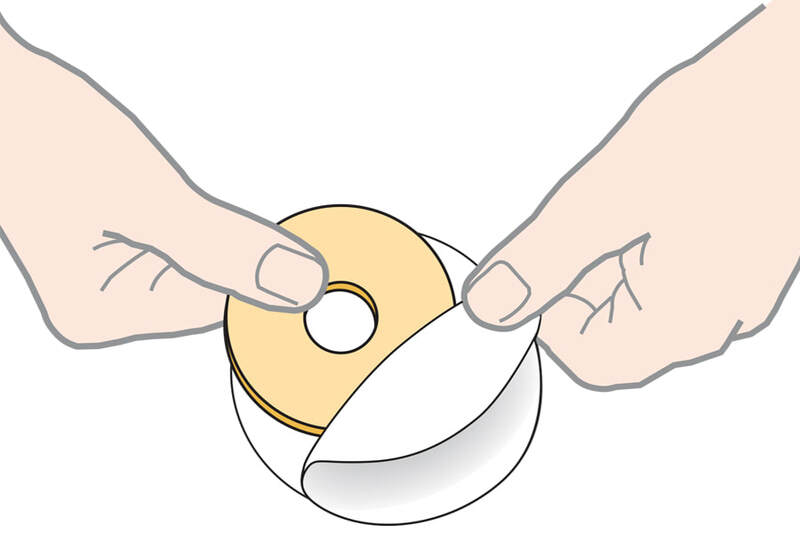 ① Clean and dry the area around the stoma to make sure it's free from grease or creams. 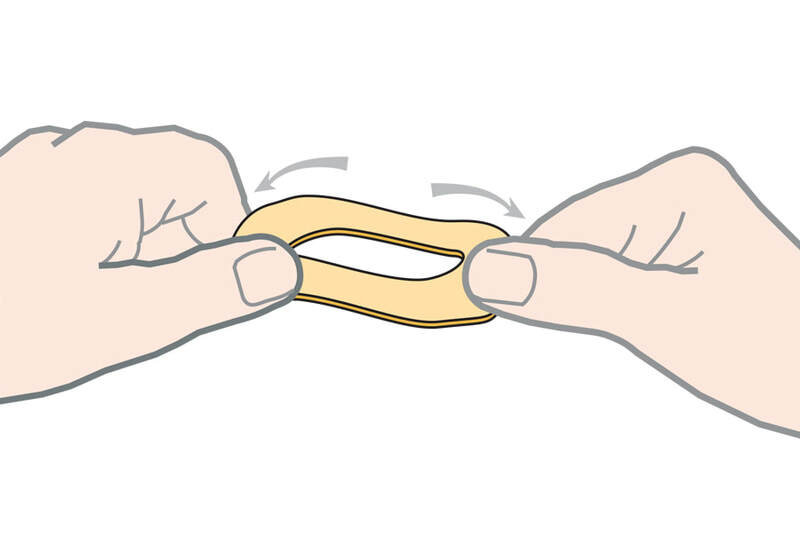 ② Carefully remove the paper from both surfaces of the mouldable seal. 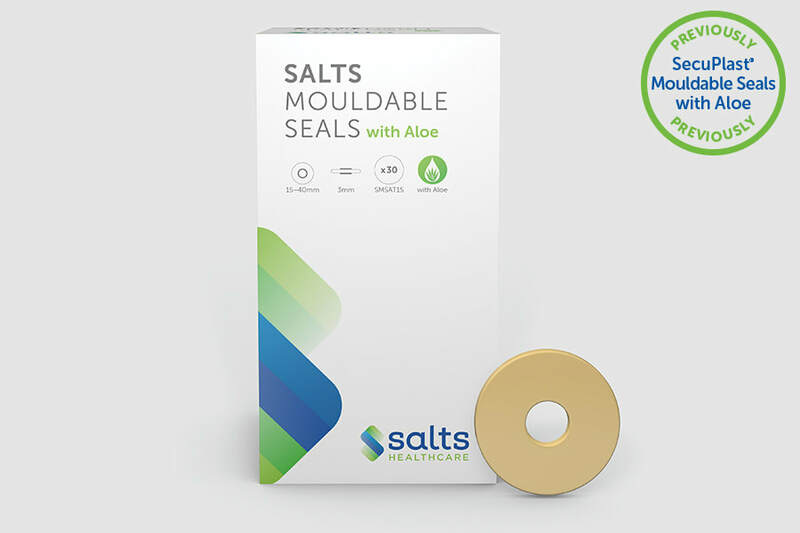 ④ Carefully mould the seal so it fits snugly, with all skin directly around the stoma covered. ⑤ Flatten the outter edge of the seal with your fingertips. ⑥ One-piece users: Put the pouch over the seal and briefly hold it in position.